While I did welcome one of my best friends from home, Sarah Stewart, and the Dutch legend Sinterklaas this past weekend, this post is dedicated to my fabulous but incredibly short time with Stew. Before I get to her visit, I’ll mention another fun activity I did this week which was going to get coffee with an exchange student from Hockaday from Lithuania, Gaby, that was in my advisory and now goes to Amsterdam University College. We had talked about getting together all semester and finally did; I actually saw her twice this week, once for the coffee and again for the AUC open mic night at Science Park. 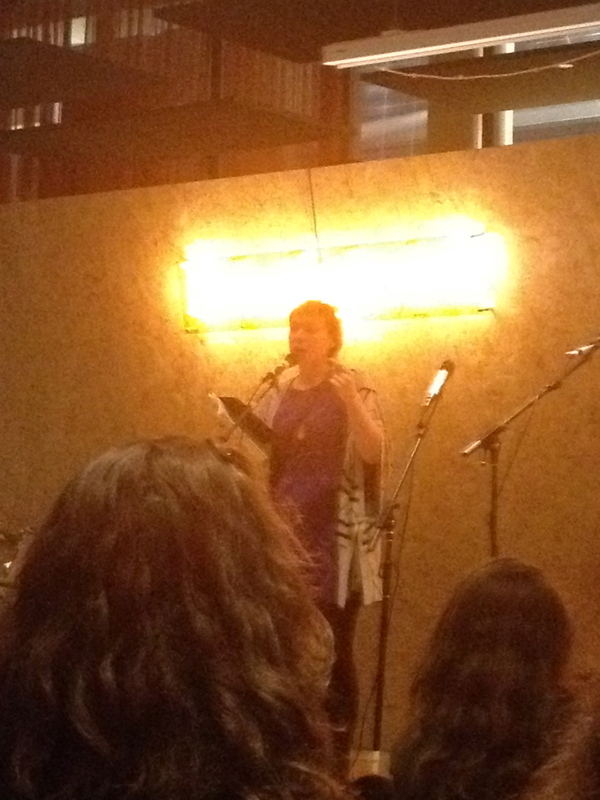 I invited Nat to come with us to hear Gaby recite some orginal poetry, and we saw some of Nat’s AUC friends there too. Gezellig! I found out that not only am I a skilled hostess, but Stew is a smart traveller. 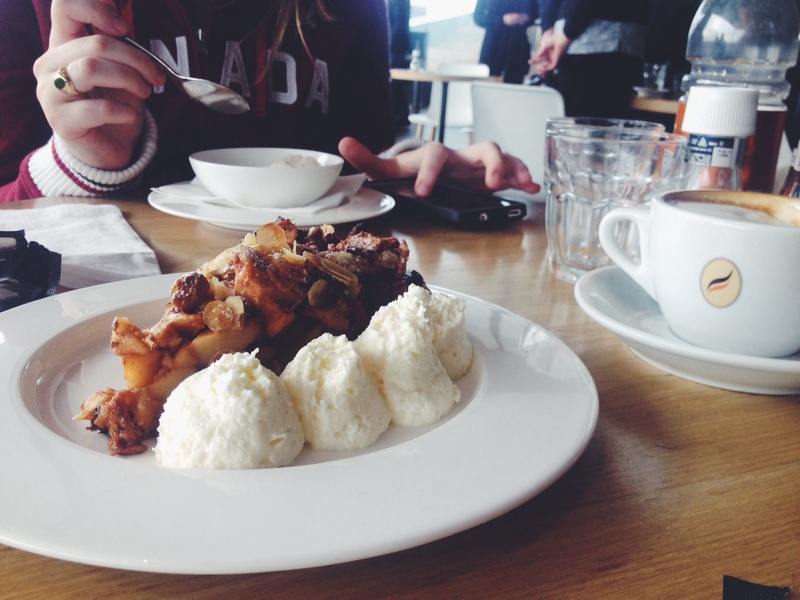 This made us a killer combination and we ran around Amsterdam like the two crazy, cultured, twenty year olds we have become. 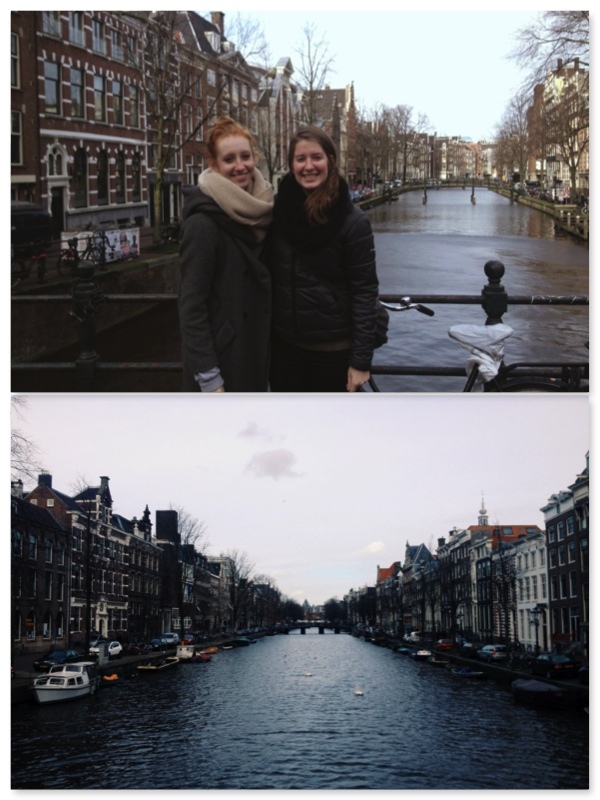 She came into Amsterdam at around noon on Saturday and had left my apartment by 5:30 Sunday evening, but we still somhow covered so many Amsterdam traditions and I learned even more about my city while being reminded of home. I told Stew that Saturday we would focus on the Amsterdam that tourists come to see (she sent me a list ahead of time of things she wanted to do, so smart!) 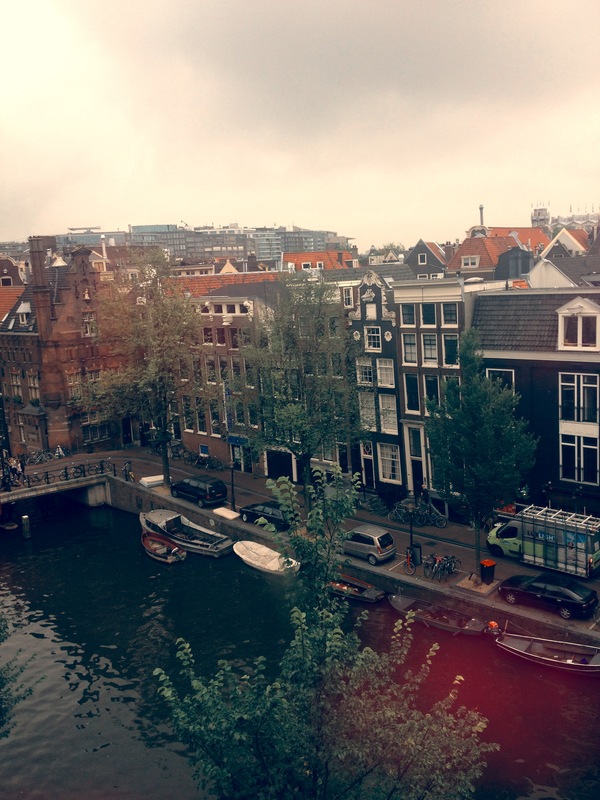 and on Sunday, I would show her the Amsterdam I have grown to love. I had another Pitzer friend in the city also this weekend, but she was so busy with the travel tips list I sent to her that we didn’t end up meeting up. I will be giving this list to anyone that visits in the future and base my friends’ visits on it as well. Stew and I started off at the Rijksmuseum and the Van Gogh Museum (second time but still awesome), and we got through them so fast by just seeing the necessities. 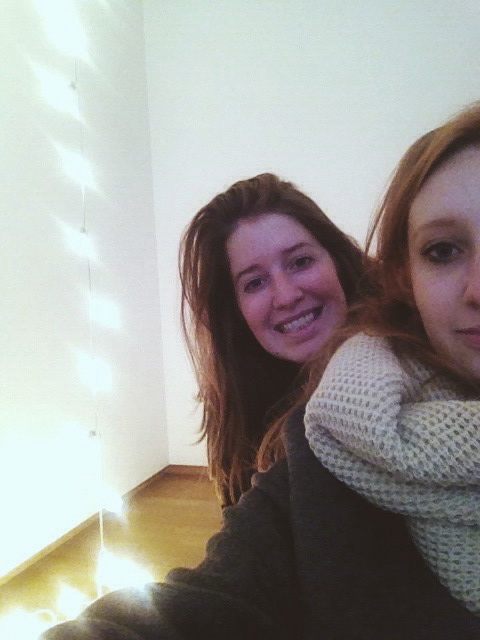 We then travelled through Leidseplein and Kalverstraat to see Christmas lights and extremely packed streets of shoppers–the touristy we got this weekend. 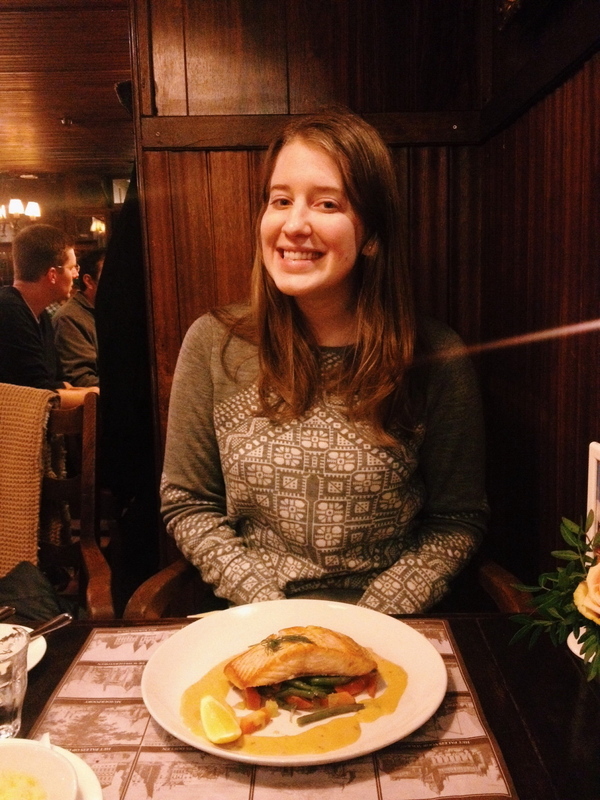 In between our sights, Stew and I caught up with each other and shared what it’s been like being abroad; we’ve had really similar experiences and adjusting to home will be easier with her so close. From Dam Square we went to the Red Light District and I’m pretty sure Stew is now scarred. I think Amsterdam customs go straight over my head and I don’t realize some things really are bizarre. Stew had the assumption that the ladies in the Red Light District were more of strippers/showgirls than prostitutes, but this just isn’t the case. We saw customers entering rooms, and that was something I actually hadn’t seen yet. 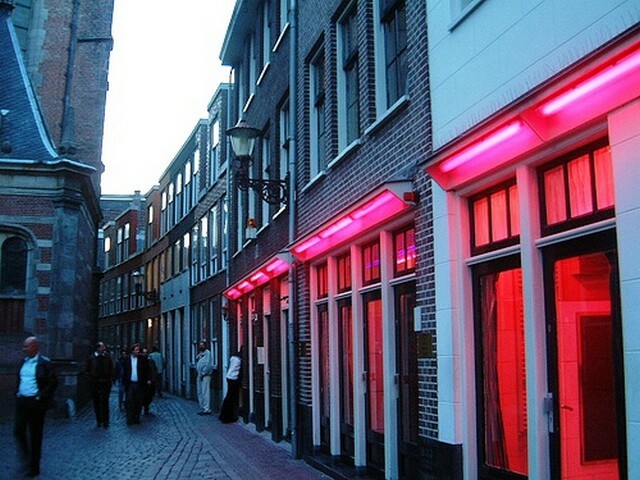 Later that night when we were with friends that have taken the prostitution class at UvA, we learned that the purple lights above windows signify transvestites and side streets have specific purposes, some are more expensive because they don’t use protection, things like that. I wish we would have seen some purple lights but I think Stew was thankful we didn’t stumble upon them. To the district again this weekend! 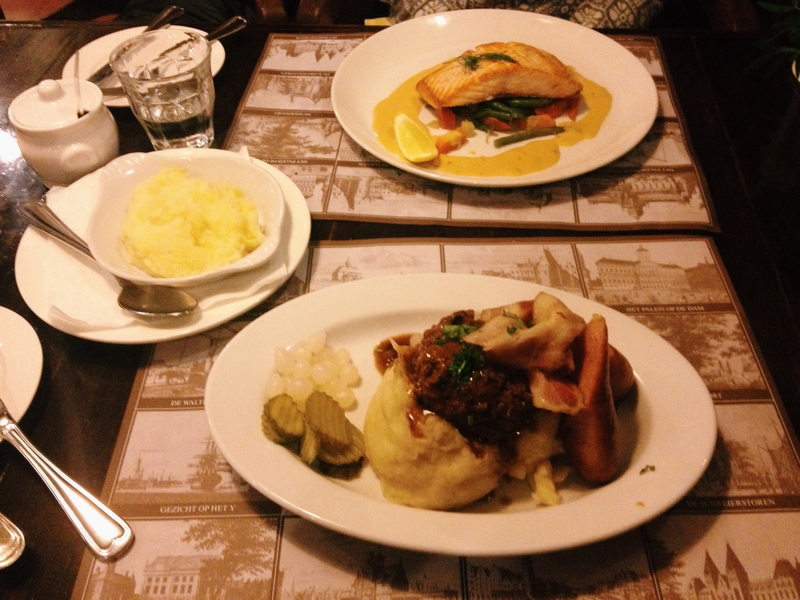 After we kind of lost our appetites, or Stew did at least (I’m used to this life! 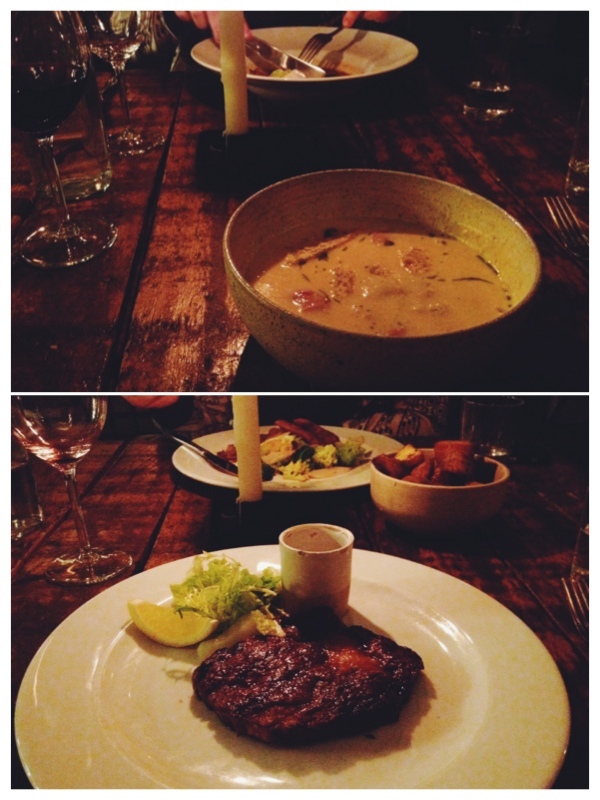 ), we returned home to rest, eat, and get ready to go to Trouw, the biggest and best club in Amsterdam. 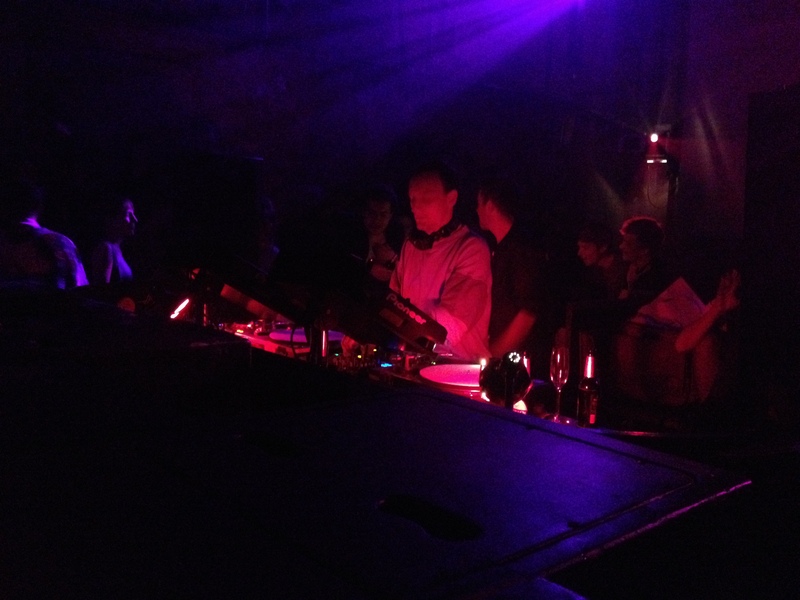 Electronic music started in Amsterdam, so Stew had to go to the best place to hear it. We met up with friends and travelled to East Amsterdam, the part of the city with more warehouses than canals. 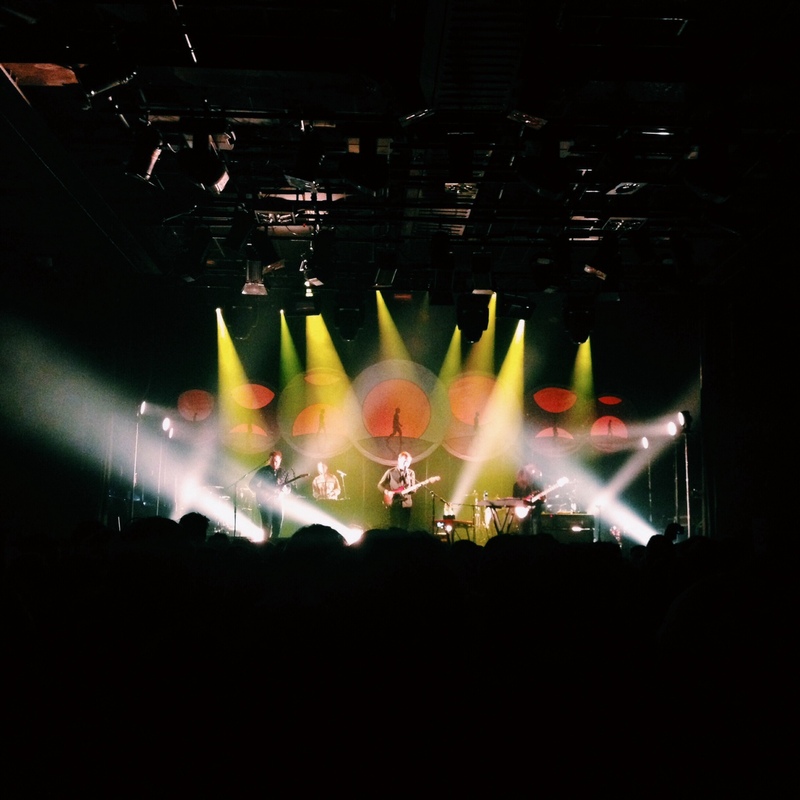 The night was fun but given Stew had woken up at 4:45 that morning, we lasted until about 3am (turning in early by Trouw standards…) and that was enough. Sleep felt like heaven. We had to get up 4 hours later, which didn’t feel so great. A typical view of the RLD, obviously not my picture as I don’t risk taking out my phone for a picture at all there! Stew went to the Anne Frank Huis on Sunday morning while I hung out in a cafe close by. 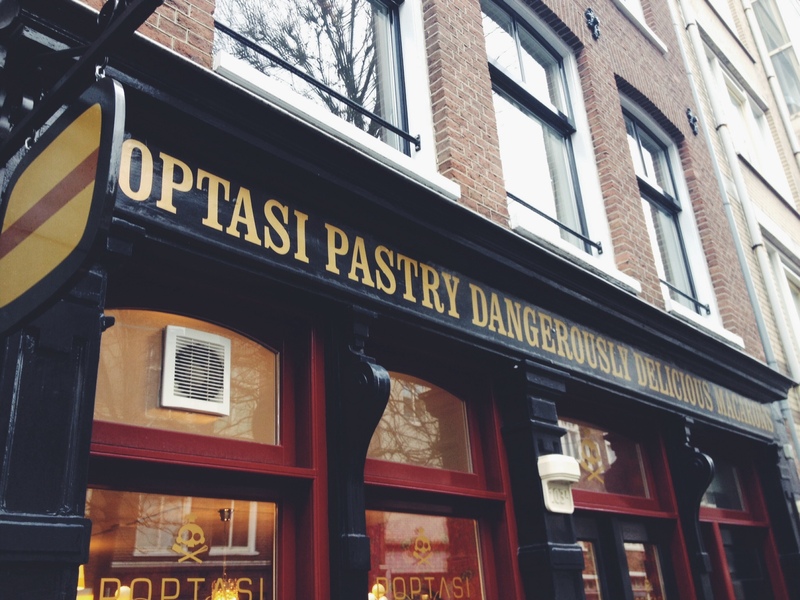 We went to my second favorite pancake restaurant for a quick breakfast then wandered around Jordaan. Unfortunately the stores are closed on Sundays but she got the idea of what shopping is like here. We didn’t have much time anyway because Sinterklaas would be arriving soon! See next post for details on this special man. We did get to see him, along with plenty of Zwarte Pieten, then had to sprint across a few canals to catch a boat tour. Considering my first boat tour didn’t include any information, I was happy to hear about some history that I wasn’t aware of, for example: a street was named specifically because the breweries were on it (Brouwersstraat), we rode on the Amstel which I don’t think I had actually been on, we passed the mayor’s house, and we even saw Sinterklaas again on a bridge. Stew definitely dosed off a few times on the tour so we returned home after for quick naps before she left for the airport. I died on Sunday night; my muscles were sore from running or standing around, but it was so worth it. I finished my work for this week early. Every day I have to remind myself that I’ll be home in less than a month. That only means the next four weeks will be busy and stressful, and there’s a trip to Prague in the middle of it. The weather is significantly colder now, doesn’t break 45 degrees, and the fog has moved in significantly. I had major bike drama earlier in the week (bought a new one, didn’t like it, traded it, broke my old one, got it fixed for seven euro, selling it) but I am officially set with a new bike with pedal breaks AND gears which makes a huge difference in my commute to class. I’m going to paint it soon as its matte black at the moment. In other exciting news, I have realized (specifically today while looking at Christmas gifts in the shops) that people really do think I’m Dutch. A shop owner was speaking to me in Dutch, I kept up until I couldn’t understand, and he told me he was surprised because I “definitely don’t look American.” I’m taking that as a compliment. I told him I try hard to hide it, and his response was “just don’t start talking.” Thanks. Time for a cup of avond (evening) tea and more internship applications. I’m trying to keep myself busy or I’ll keep getting these flashbacks of California weather! Maybe that’s a good thing or I’ll just forget what the sun looks like altogether. Thought I’d fit in a quick post about my latest day trips before I set off for Munich tonight (and fill my mind with a lot of new great exploring-based memories). 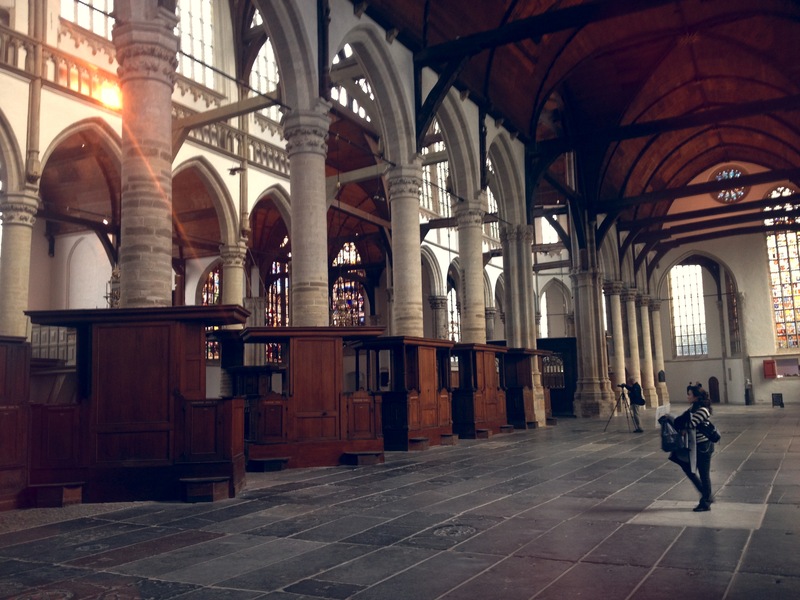 I took time this week to explore a few museums on my own and ended up having a super spiritual journey by visiting Ons’ Lieve Heer op Solder (Our Lord in the Attic) and de Oude Kerk (The Old Church). 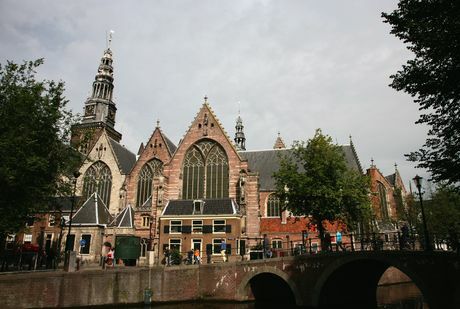 These are two of Amsterdam’s most famous tourist spots located RIGHT in the Red Light District… go figure. Not surprised to find where Rembrandt’s wife was buried right next to a brothel. Welcome to Amsterdam! 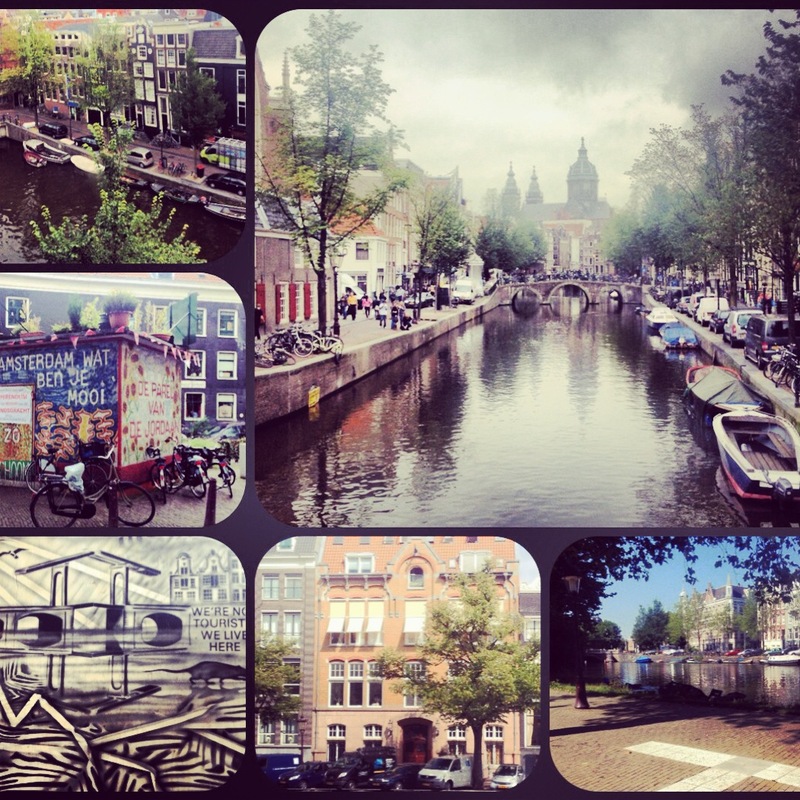 A collection of my favorite views of Amsterdam thus far. 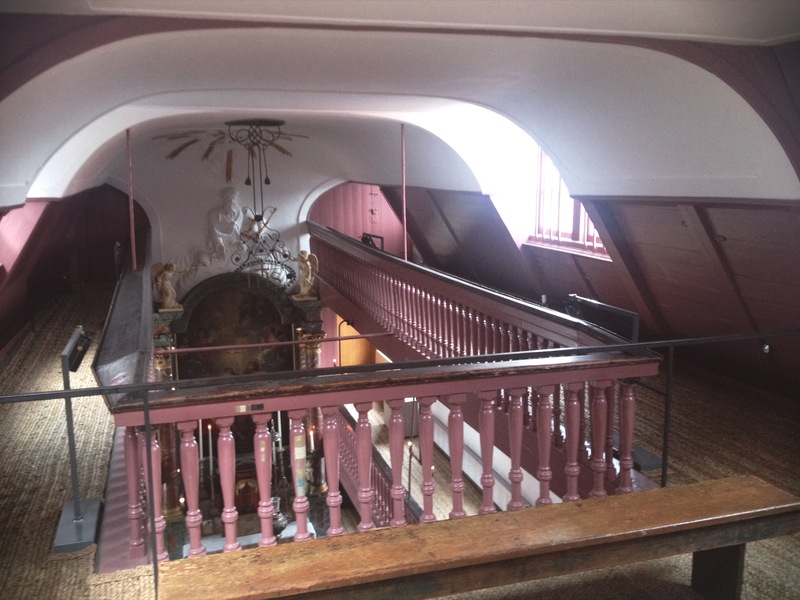 Our Lord in the Attic is a tour through a winding canal house that happens to have an entire Catholic church built into it. 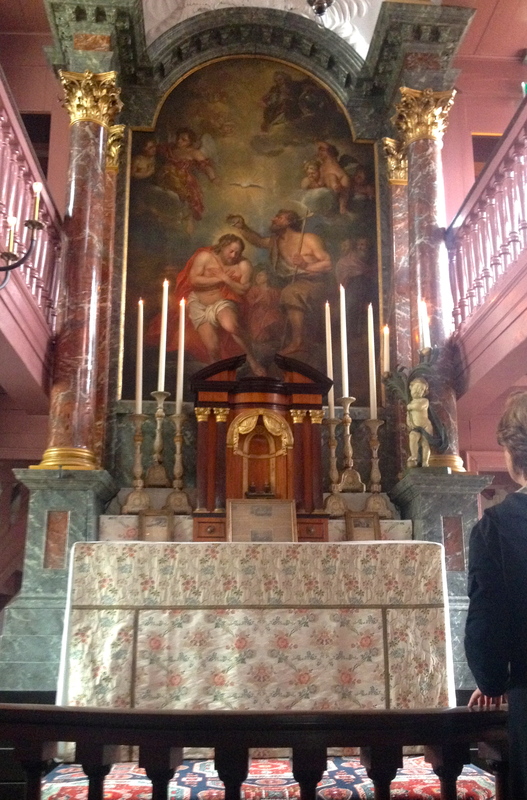 When Catholics were prosecuted, they could come to this hidden church to worship. Priests live in the house (technically two houses) and then the church occupies a large middle portion of the house. 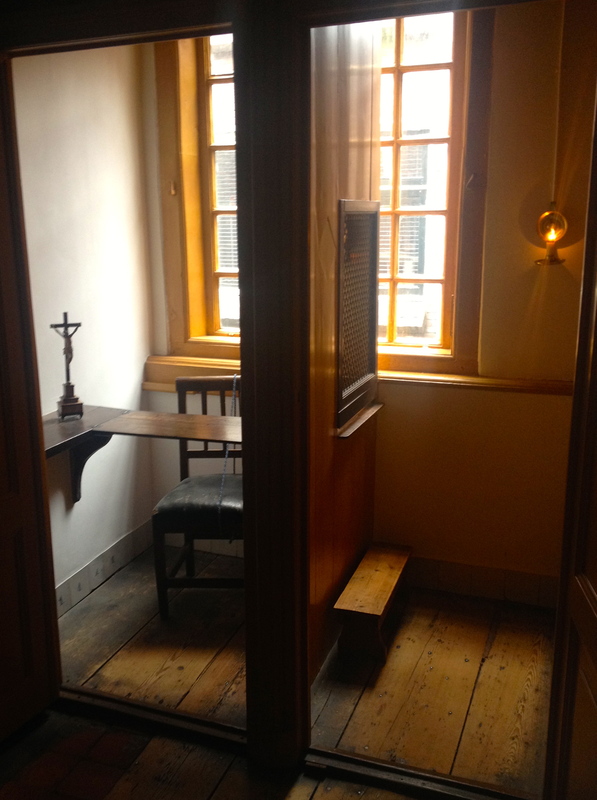 The house also included a confessional and dressing room. I’m not sure if all canal houses are built like this, I’ll have to go to the canal house to museum to investigate, but I found there is basically one route throughout the entire house that you have to take. There are tons of tiny staircases to climb up and down and around, and none lead to you a common room of sorts, but new higher rooms. How exhausting, but it makes for a fun maze. I loved seeing the box beds where the priests slept (basically bed-rooms) and their kitchens were completely decked out in blue and white Dutch tile. This house had a room just for washing clothes and dishes, which is an excellent idea. So smart and condensed here! View from the attic, I would go to church just for this every sunday! The Old Church was equally incredible and nothing like I had seen. I don’t spend too much time in big old churches but I feel like this one was special. First of all, the floor is made up entirely of tombs. You walk around literally on where people are buried. 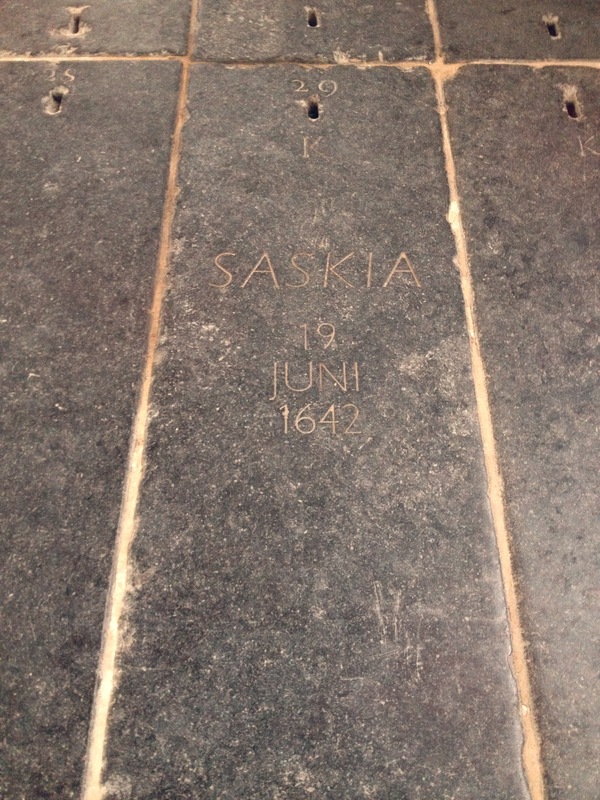 Rembrandt’s wife, Saskia, is buried in the Old Church and you can go stand on her grave too. The stained glass windows were detailed and beautiful, and I was particularly impressed with the wood carvings. My favorite part by far was the choral section that had all of these little seats with little people engraved in them called misericords. Maybe these are common in churches, I’m not sure, but these ones enacted Dutch proverbs that were quite funny. I couldn’t help but laugh at the one of a little man “excreting” coins with a description along the lines of “I don’t have money coming out of my arse,” only at a Dutch church! Not my picture, but what the Old Church looks like! 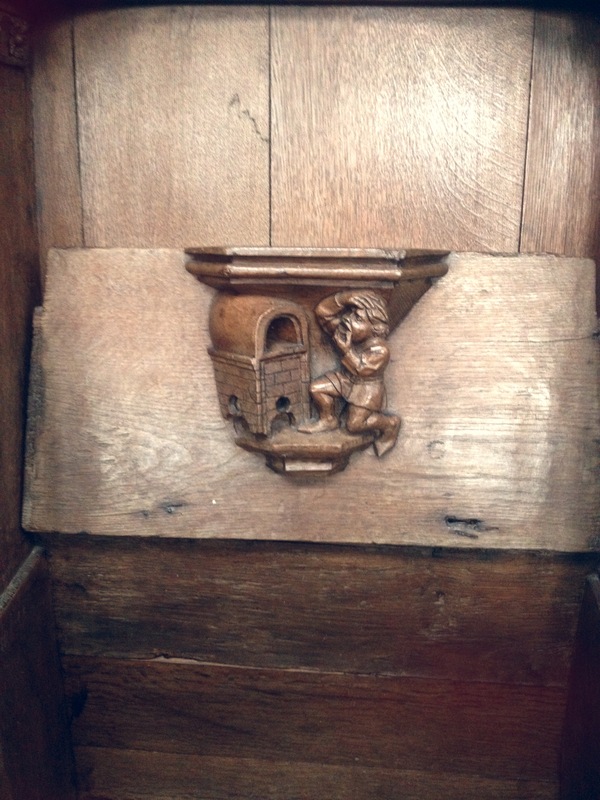 My favorite misericord. 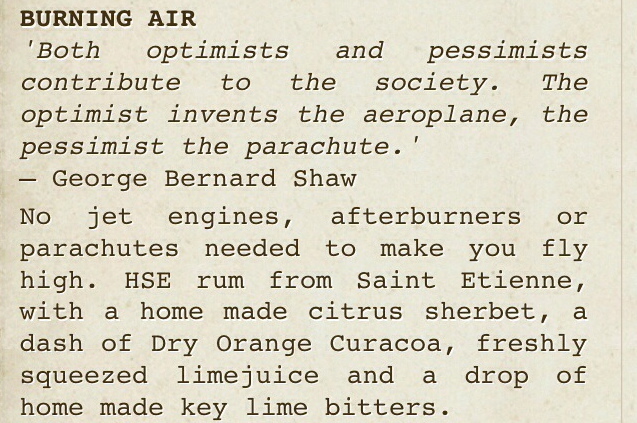 The description: “It’s like trying to out-yawn an oven door,” or don’t try to accomplish the impossible. But honestly, Dutch, who came up with this. These museums only make me want to study more Dutch history, so I’m getting more and more excited about my Dutch Culture and Society class next block. There are so many museums to see that I’m a little overwhelmed, but I’ll get time. 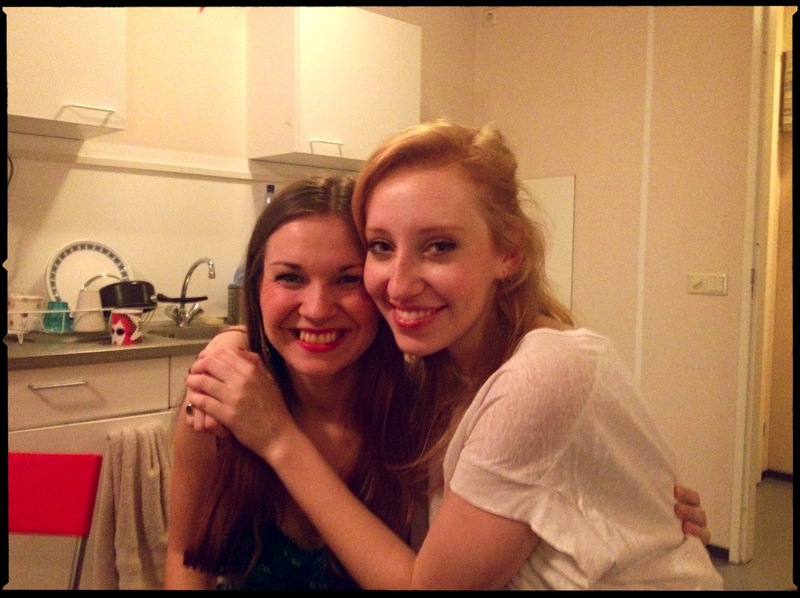 Annie, a friend from Hockaday that is studying abroad in Florence, came into Amsterdam last night and we met for drinks at my favorite bars. I lent her my museum card for the weekend and I’m jealous she’s seeing the Rijksmuseum and Van Gogh before even I get to! I hope she enjoys them, who wouldn’t! 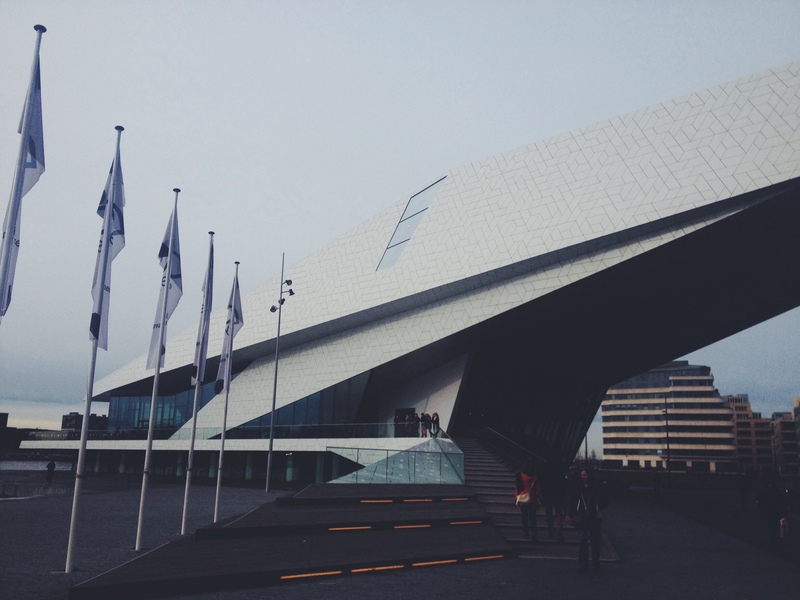 Museum Trip 1: Amsterdam Museum! FINALLY went to a museum in the city of museums! 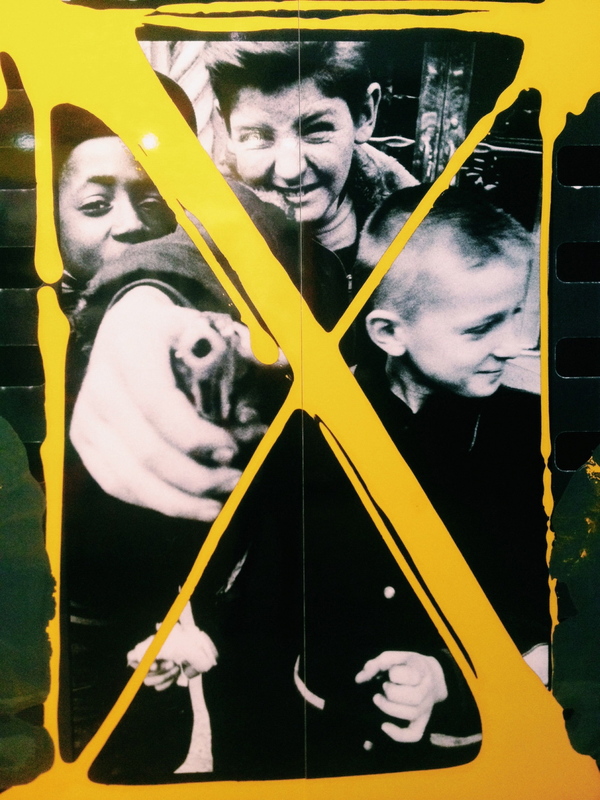 The Amsterdam Museum has so much to explore, ranging from old history to showing the lives of children in the Netherlands throughout time (the museum used to be the city’s orphanage, go figure.) Weirdest part of the museum would have to be the real cocaine that they had on display, but what would you expect to be in the drug history room? I liked learning that the purpose of less harsh laws for marijuana is to maintain the strict attitude towards hard and more harmful drugs, that just sounds so smart. 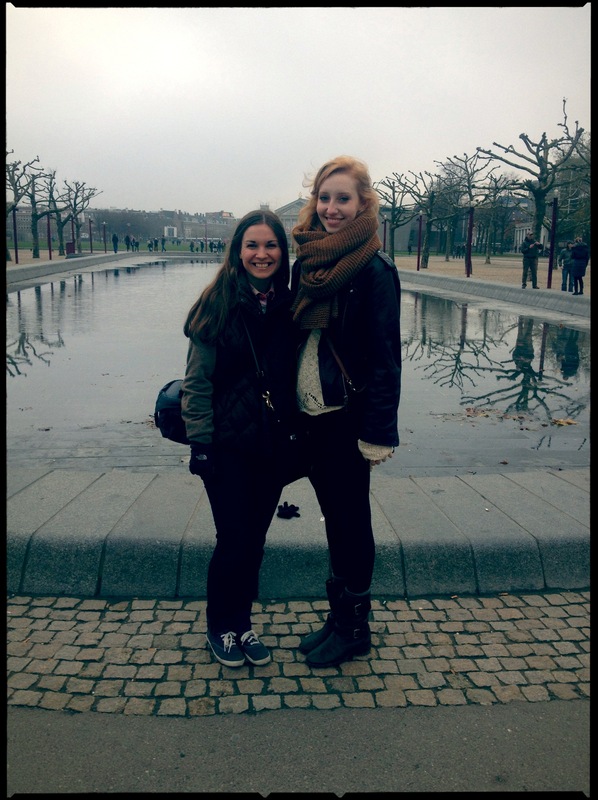 Here are pictures from the trip with Nat. Anyone that visits the city should go, even if it’s only to walk around a building with lots of little staircases and old stuff. 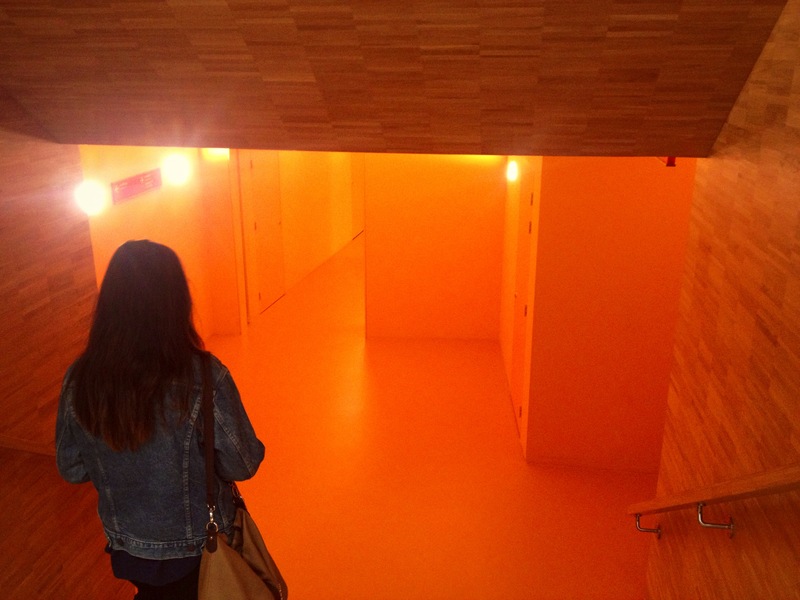 Natalie in this orange hallway, kind of creepy but also cool. Learned that orange is the color of the royal family, and therefore the color of the country because of the lineage of the current family, starting with Willem van Oranje. Not sure if the rat is supposed to be saying the quote or not. 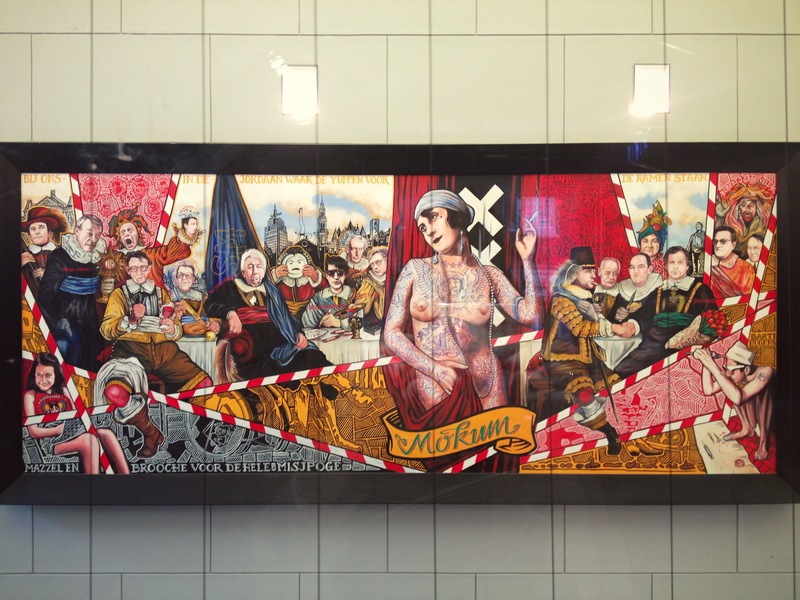 A modern artist was commissioned to have this in the museum, in the main corridor. Another one of the museum’s modern works, with this pill representing more of the drug culture. 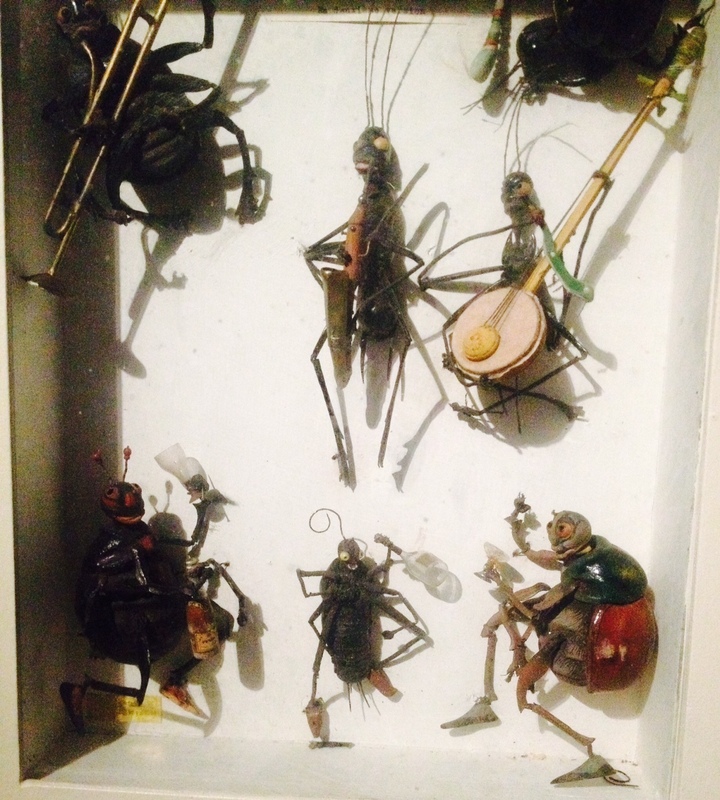 These were in the same main corridor sitting on top of some classic works. It was a weird constrast. Everything in Amsterdam is weird. 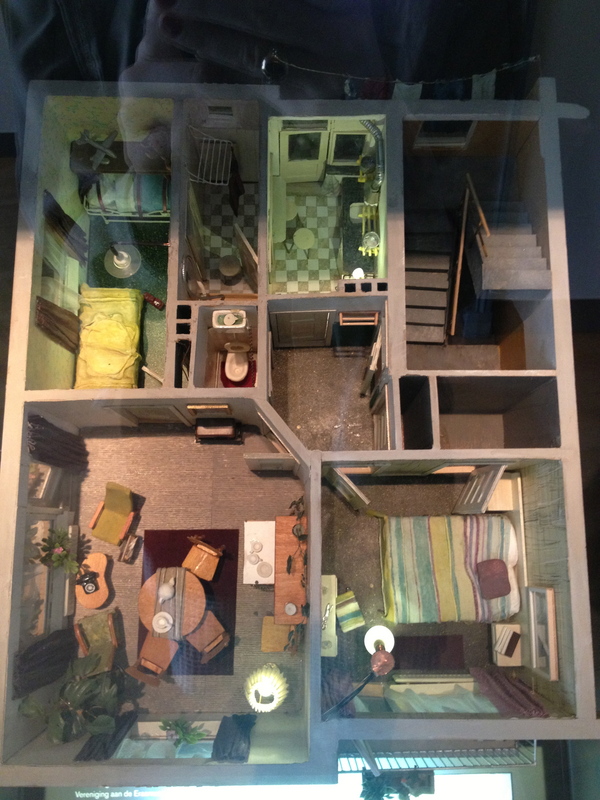 An unfortunately not so great picture of one of the dollhouse-type exhibits (this is for you, Mom!) 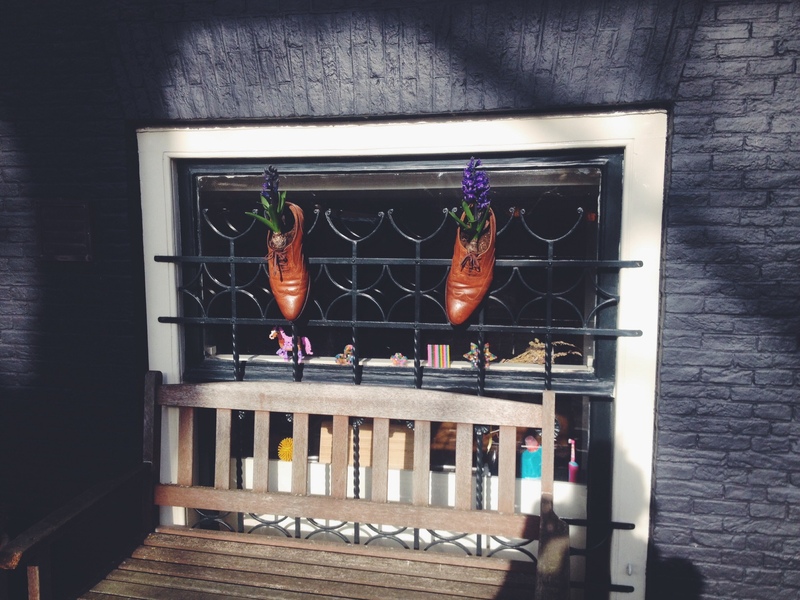 How cute were/are little Dutch apartments. 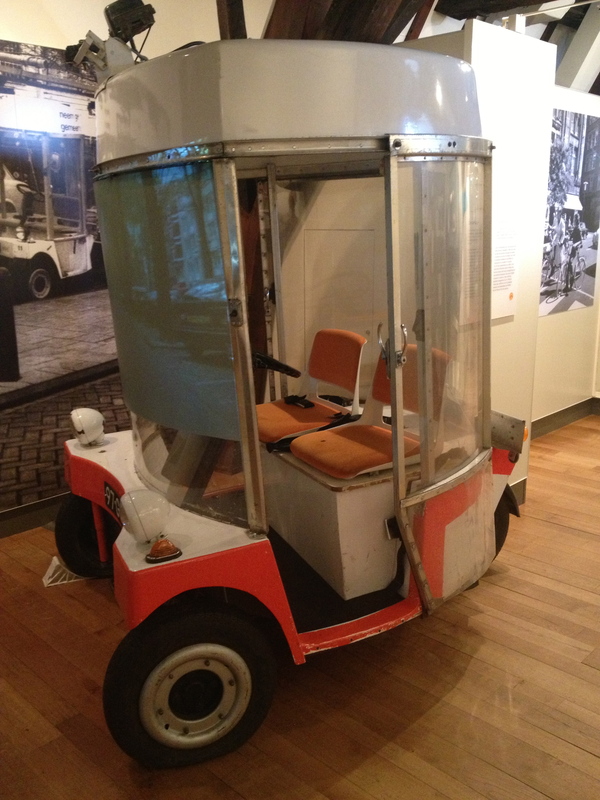 One of the “white cars” in Amsterdam, which is a personalized form of public transportation. I swear I’ve had a conversation with my dad about having individualized cars on the metro to give people a more private commute without having to have their own car. 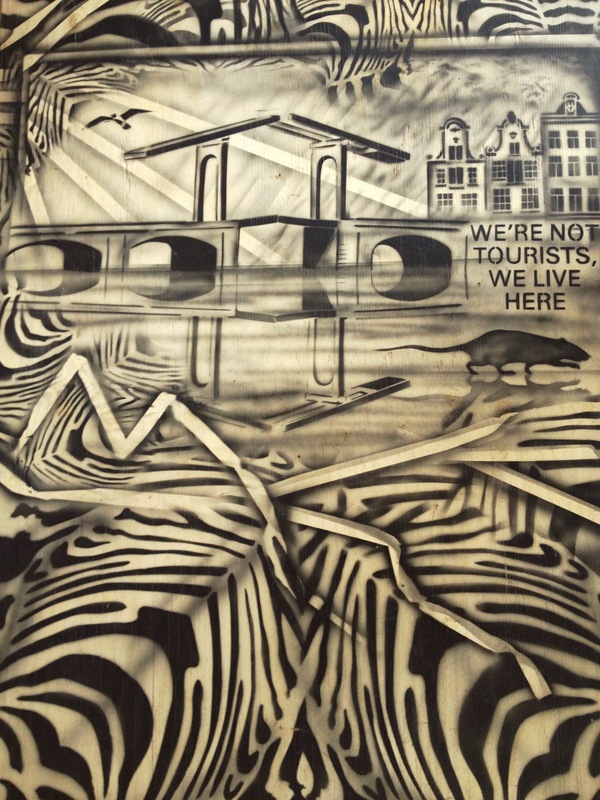 Of course Amsterdam already did this in the 1950s… not surprised. 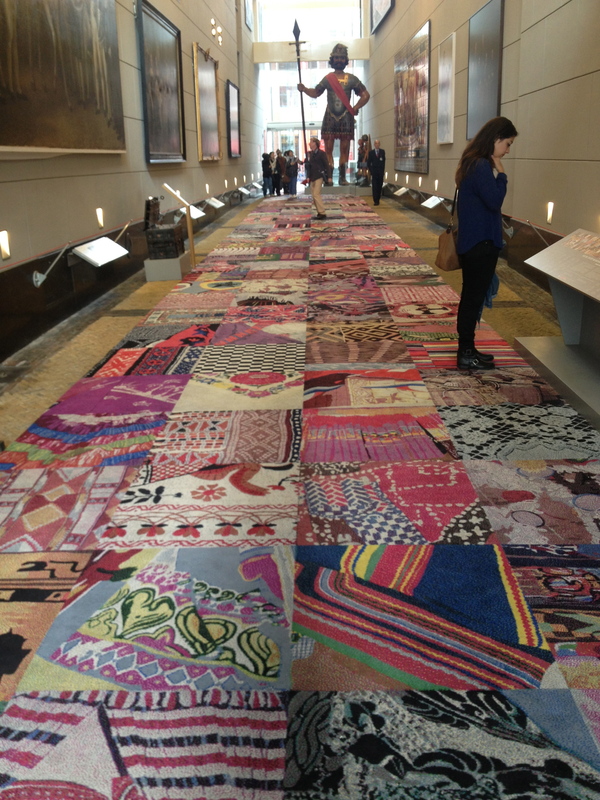 The main exhibit at the museum is the huge rug you are encouraged to walk on. The artist used prints of textiles from around the world to make a huge carpet. It looked pretty neat. Note “Goliath” in the background. Now I have my museum card and look forward to visiting many, many more. I still need to go to the Rijksmuseum and the Van Gogh, but also to the Tattoo Museum and Electric Ladyland, a museum of fluorescence. So many adventures, and thankfully a lot of time. I’m holding off on the Anne Frank house until Margaret gets here.